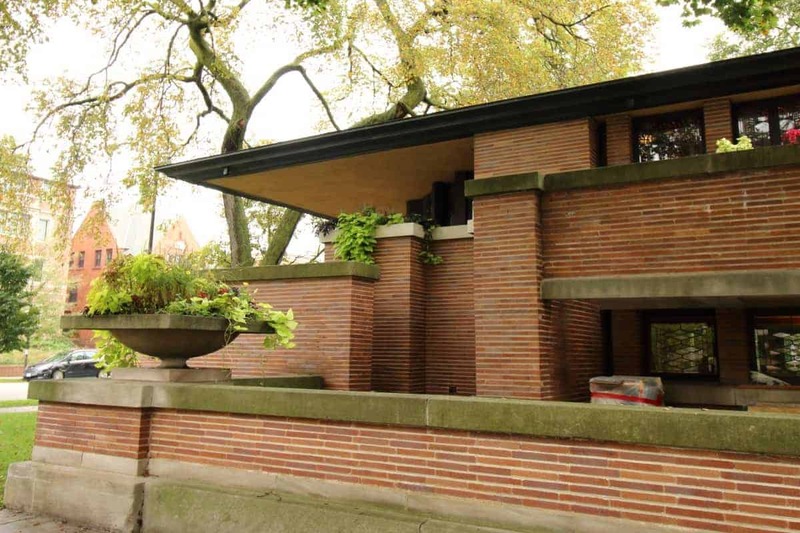 Back in October, we toured Frank Lloyd Wright’s Robie House in Chicago’s Hyde Park neighborhood. 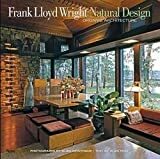 Wright was a true genius, and developed the Prairie style over many years. 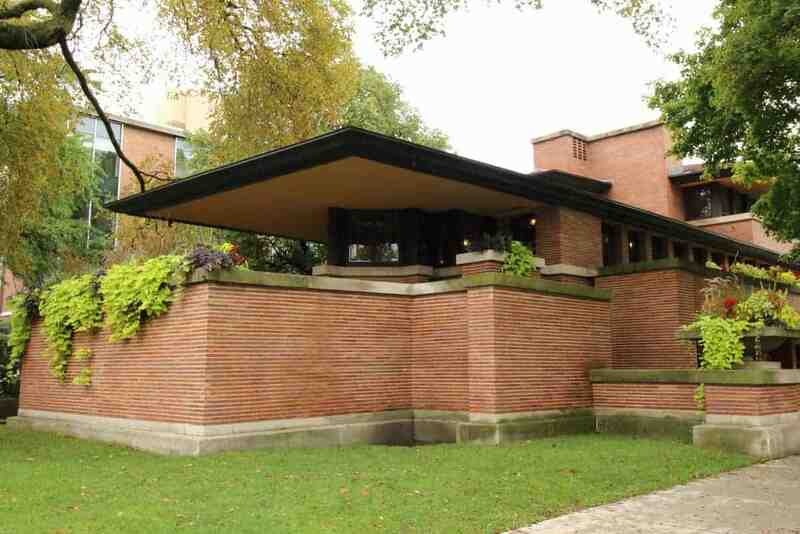 The Robie House is the epitome of that style. This post continues our series on identifying house styles, so let’s take a look at how to identify Prairie style homes. Built in 1910 for the Frederick Robie family, the house sits prominently on a corner lot near the Gothic styled University of Chicago campus. It’s hard to imagine that the house was originally in a rather rural area. 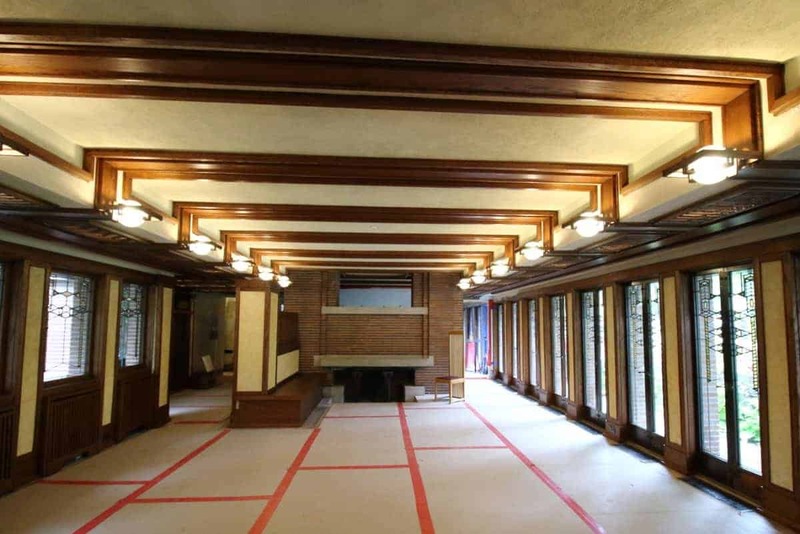 The home is currently being restored, and many spaces were in various stages of renovation. Even with protective coverings on the floors, missing wall sconces, and skipping rooms, it was still an amazing tour. We learned on the tour that the Robie family did not live in the home for very long. To have this amazing architectural gem, and enjoy it for such a short time is so sad! Even worse, at two different times, the house was threatened with demolition. Thankfully, someone had some common sense and we still have this wonderful home. 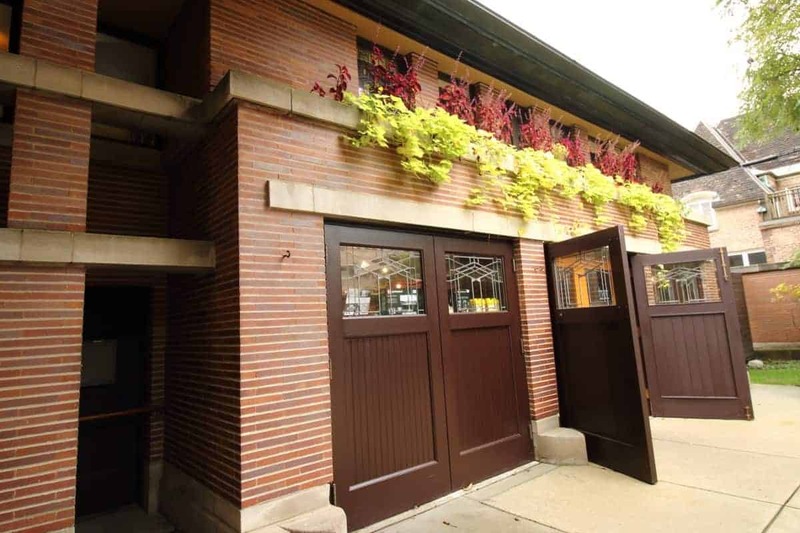 The Prairie style began in Chicago in the early 20th century. 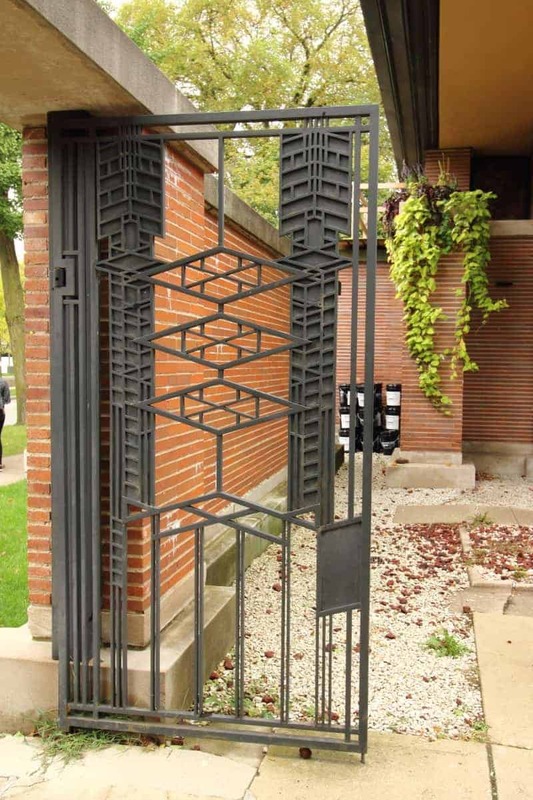 Wright began experimenting with the elements that would eventually define this style as early as 1894. 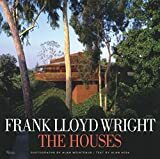 Frank Lloyd Wright is the most popular architect of this school of design, but there was an entire group that specialized in the style. 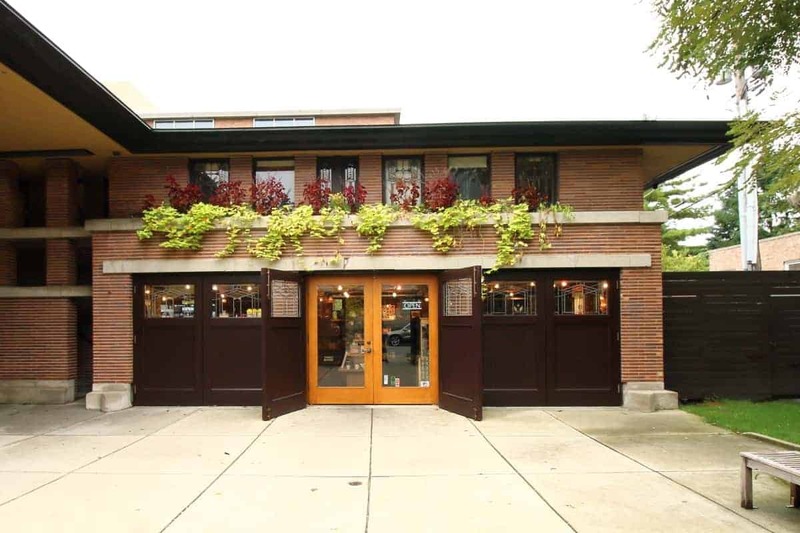 These talented architects were often called the Chicago Group, and later the Prairie School. Prairie style is an American architectural style, that was created for the flat landscape of the Midwest prairies. Rather than a house that looked like it was plopped down on a site, a Prairie style home appears to have grown organically from the site, as if nature designed it. Prairie style homes do not have a lot of superfluous decoration. The ornamentation that they do have, is based on the Arts & Crafts movement and the design theories of the architect Louis Sullivan. 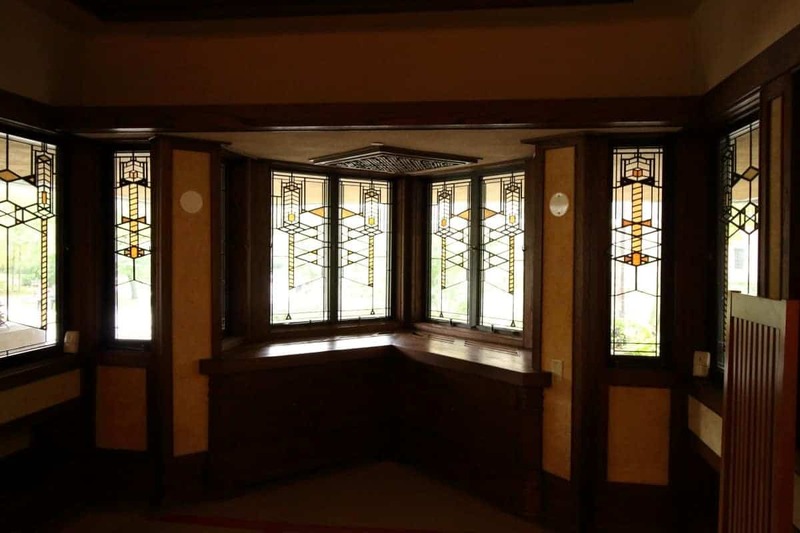 The forms of nature – leaves, trees, flowers – come from the Arts & Crafts style, while flat planes and abstracted patterns are from Sullivan. Where are Prairie Style Homes located? 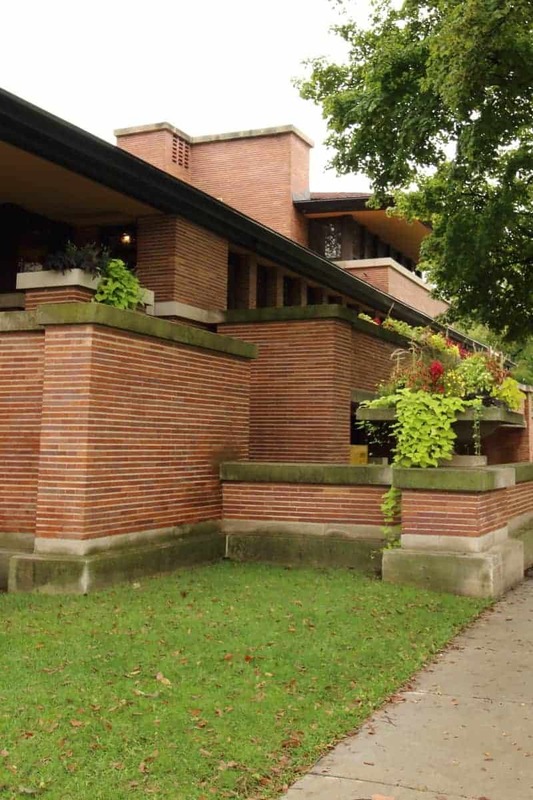 Homes designed in the Prairie style are predominately located in the Midwest, specifically Illinois and Wisconsin, and were built between 1895 and 1920. The massing of a Prairie style house is probably the most recognizable feature. Overall, the home is primarily low and horizontal, as opposed to the Victorian style that was very vertical. Prior to this, a house SAT on it’s site. A Prairie style home appears to emerge from the ground and is an integral part of the site. These homes rely on strong elements of block-like massings. Almost, as if they were designed with a kid’s building blocks. Large masses of masonry are balanced with cantilevered floors or roofs, and extremely large roof overhangs to create a dynamic exterior. Homes usually have a relatively open floor plan with a central chimney that becomes a design mass on the exterior. Roofs of Prairie style houses are either flat or a hippe with a very low slope. Roof overhangs, or eaves, are massive and contribute to the horizontal emphasis. Wright designed a three bay garage for Robie, which is pretty impressive for 1910. The servants’ bedrooms occupy the space above the garage. These homes emphasize the connection between indoors and outdoors. Plenty of windows bring the outdoors in. Outdoor living spaces, like this raised patio, encourage spending time outdoors. The greenish squares on the floor are skylights into lower level spaces, one of which is the wine cellar. This area is shaped like a ship’s prow. It provides a wonderful window seat on the inside, and since it is lined with windows, it adds so much light to the interior. Prairie style houses use natural materials, such as wood, stone, and brick, along with stucco on the exteriors. 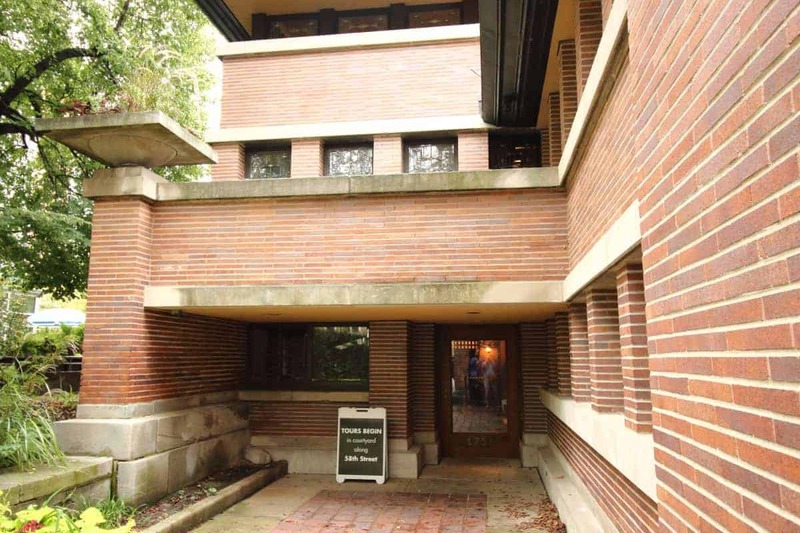 Wright used oversized Roman brick, in order to emphasize the horizontal lines of the home. Prairie style houses are filled with light. There are often more windows than wall space, which creates wonderfully bright rooms. Windows are placed in bands with limestone sills and headers. In addition to providing light, they provide an almost continuous view to the outside. The window seat surrounded by stained glass windows. 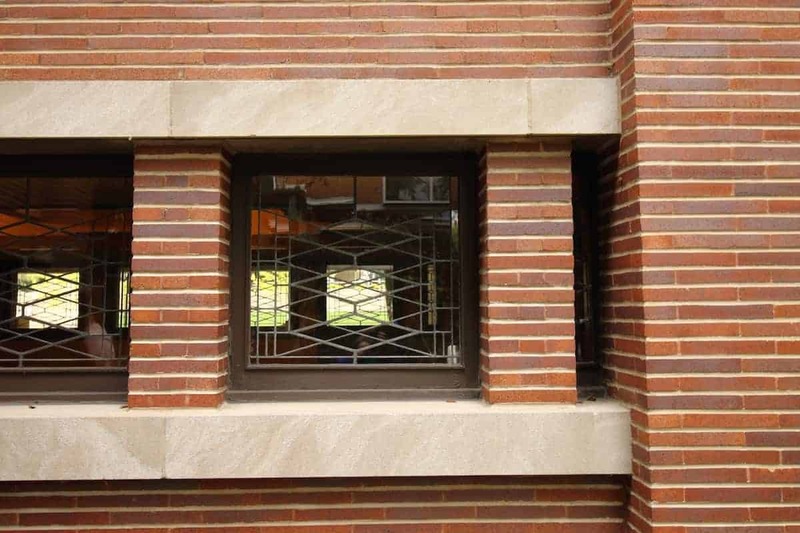 Wright used continuous limestone bands over the doors and windows, rather than a typical lintel that is a little wider than the opening. 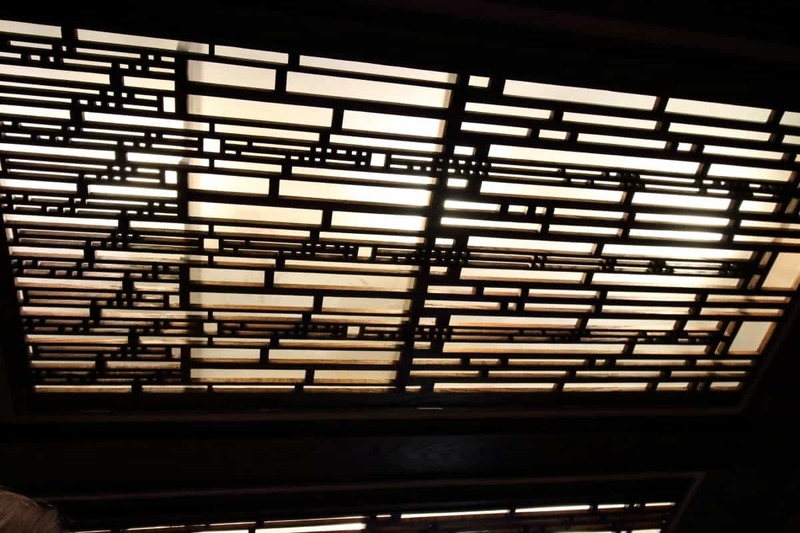 These linear elements accentuate the horizontal feeling of the home. Above the garage doors, the limestone band creates a continuous flower box outside the servants’ bedrooms. This exterior skylight allows light to reach under the wide eaves and into the living room widows. 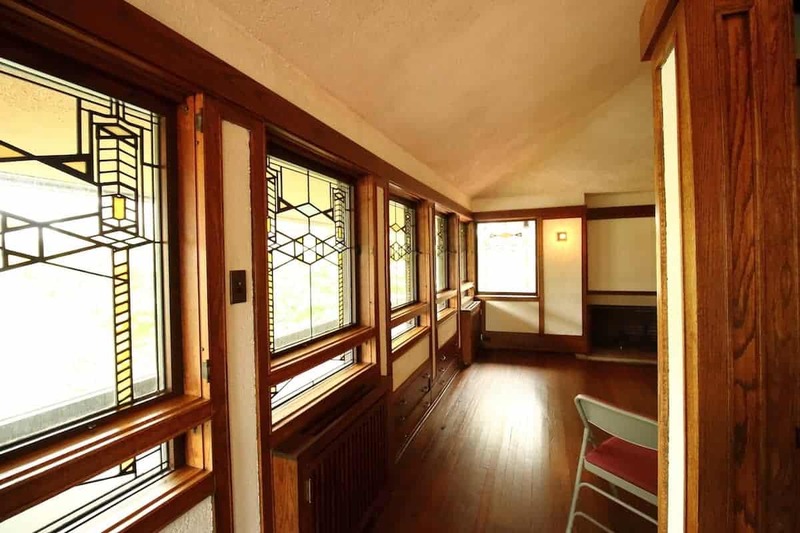 Prairie home interiors are very similar to Arts & Crafts or Mission style interiors. Oak is the predominate wood for both flooring and trim. The trim is usually very simple and often just a 1×4. The Master Bedroom is a large, open space that is quite different from most of the other rooms in the house. The entire outside wall is windows, and has built in drawers below the windows. These homes will often have a singular motif or symbol that is used throughout the house. 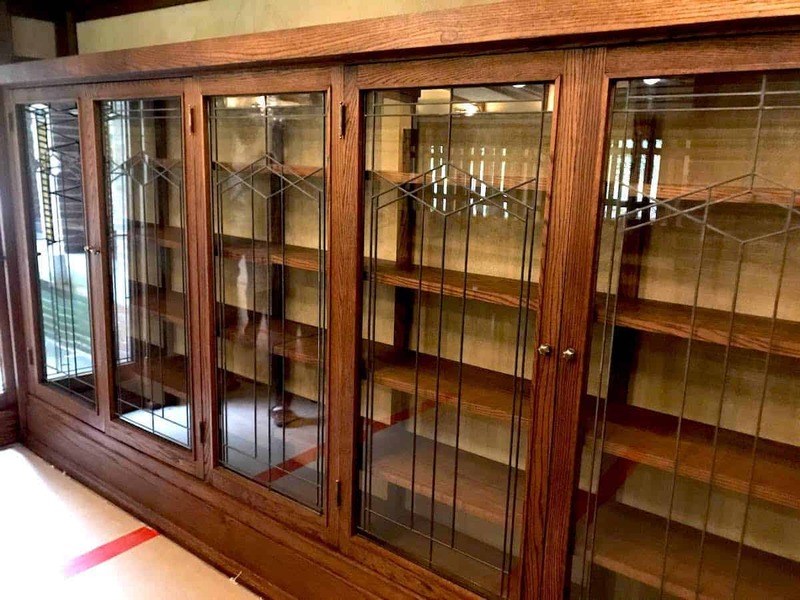 The glass doors of the oak bookcases have the same pattern as the stained glass windows and the exterior garden gate. Fireplaces have a predominant position in the Prairie style home. 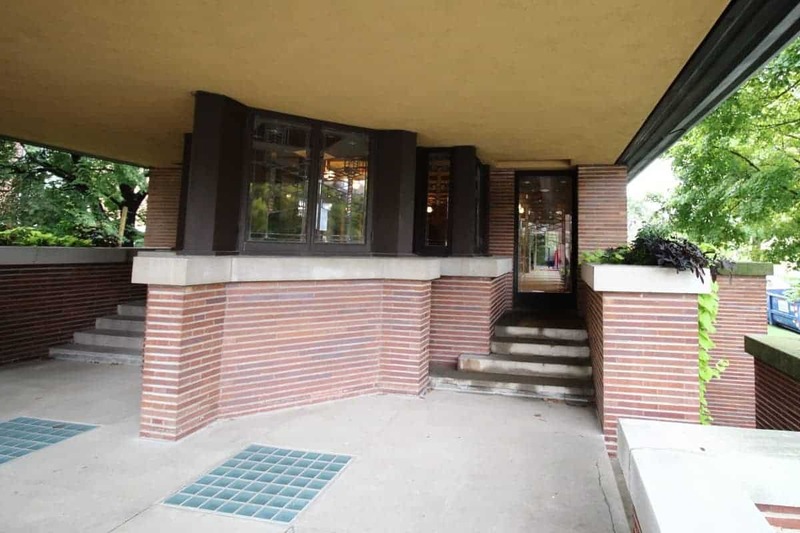 In the Robie House, not only is the fireplace located in the center of the large living room, it includes an inglenook. The wall of windows in the living room are a perfect example of the connection between indoors and outdoors. 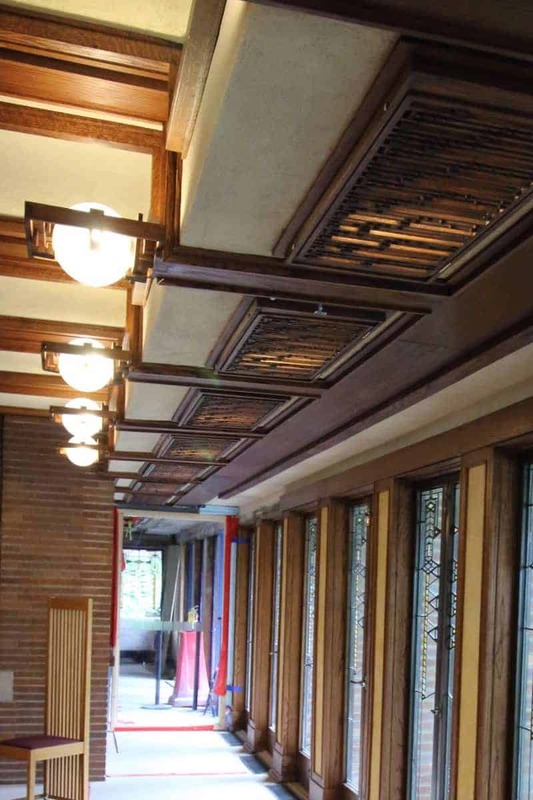 These wooden ceiling light covers continue the circle and square pattern that is used in the light sconces and the exterior planters. 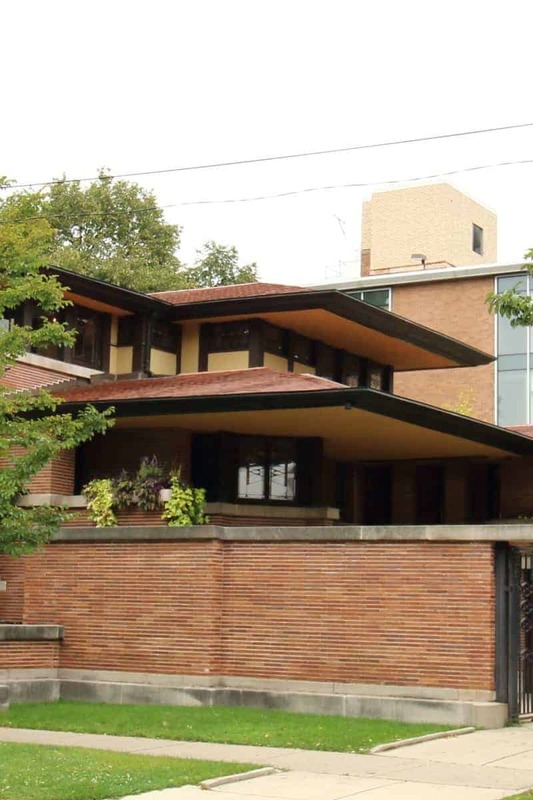 Next time you’re in Chicago, make time to visit the Robie House and experience a Prairie style home. « Family Vacation Ideas: Ditch the Hotel!